Physicist Michio Kaku said in a video “If you have been exposed to Cesium 137 because you are an atomic worker, even after you are dead and buried your graveside will be radioactive. Your great grandkids can come with Geiger counters and see that great granddaddy still has radiation at his graveside” It is a very big thought to compute. For a person dead and buried for years to still be radioactive. That also happens to be the reality of radiation. Today, every person in their thirties has been alive for two grade 7 nuclear disasters in our world. Considering that both have resulted in massive radiation and exclusion zones, it is easy to see how big a phenomenon nuclear contamination is. But apart from these, there are hundreds smaller accidents that have happened. Fuel leaks, partial meltdowns, other contamination. Nuclear testing has deposited some nuclear contamination worldwide. Add to it nuclear contamination hidden by governments for economic or political reasons, like our Baloch friend describes in his interview. Our world is radioactive. The only difference between us and the nuclear exclusion zone is that our exposure is within what is called acceptable levels. I can’t help but wonder at the number of “radioactive people” we have. People who may be outside exclusion Zones, but their gravesides will still be radioactive. Much has been written about prevention, treatment and harms of radiation. I think it is time for medicine to explore how people live with radiation along with how they die. Adapt better to it. A principle of Appreciative Inquiry is that we find what we seek and we can create positive change by seeking what we wish to see happening and enhancing it. To me, it makes sense that along with learning how to “prevent and fix damage” of radiation, the time has come that we study what makes some people live long and healthy lives in spite of being exposed to radiation. Are there factors that can be duplicated to bring hope to others similarly contaminated? Much information on increasing incidence of cancers and such. And I definitely don’t deny it. Radiation must be avoided. Exposure to radiation must be avoided and treated as far as possible. Yet, we don’t have enough resources to do it at times, it seems. TULGOVICHI, BELARUS: The only villagers of the deserted Belarussian village of Tulgovichi, 370 km southeast of Minsk, inside the 30-km exclusion zone around the Chernobyl nuclear reactor, cellebrate the Orthodox Annunciation, 07 April 2006. Not even half of those displaced by Chernobyl are properly rehabilitated yet. The ones from Fukushima are still in a limbo till more is known of their fate. Researchers state that 0.2% of all aid is targetted at the elderly. Yet, we have people who refused to leave and Samosely who moved into abandoned homes – living lonely, but largely healthy lives within exclusion zones. Eating contaminated food, drinking contaminated water, rearing contaminated livestock. Many say that the Samosely fake health so that they aren’t forced to leave exclusion zones. Yet, it is quite difficult to fake being alive if you aren’t. It is quite difficult to live alone in your 80s unless you are reasonably healthy. Farming own food, working to sustain livestock… And they are invariably old. And many among them have died. That is more health than what many elderly people in cities have. Then, there are the Baloch, who claim that Pakistan’s nuclear testing in the Chagai region, that turned Raskoh mountain black released radiation that is killing the Baloch population and causing inexplicable defects. The truth of this is very difficult to ascertain considering that Pakistan doesn’t allow independent media into Balochistan, but the photos and information these people have put up on the net is compelling and rather difficult to explain without the white elephant of nuclear testing in the room. Yet there certainly are enough Baloch to fight an enduring war against the Pakistani state. They grew up in this environment and they seem to be fine in a physical sense, if not politically, nationally or in human rights. Other studies describe mixed opinions on the wildlife in the Chernobyl exclusion zone. Some say it thrives without human interference, others say the diversity is decreasing and worrisome mutations are happening. Dotted among these are stories of natural adaptation. Mice that had left the region after the humans left seem to be back and better able to deal with radiation. Species develop mutations, but there are also animals thriving. Scientists experimenting with mice have been able to medically assist them to survive lethal doses of ingested radiation by treating them with drugs. In the Emmy Award winning NOVA – Inside Chernobyl’s Sarcophagus, scientists who have worked at Chernobyl for a long time are giving interviews in their old age. They speak of colleagues dead from heart failure but not Acute Radiation Sickness. Whatever precautions they took seemed to have protected them from coming to unimaginable harm working as they were directly at ground zero. Yet, the common factor is also neglect. 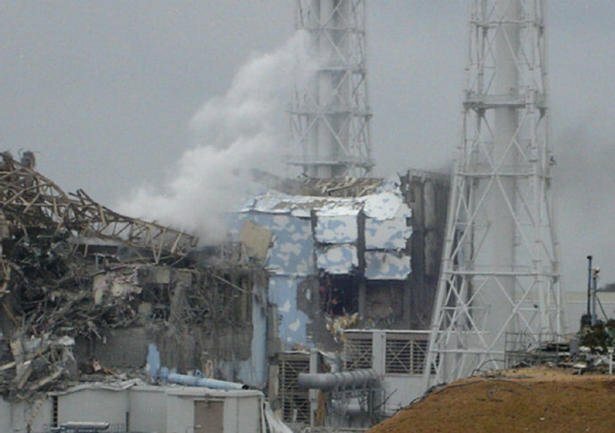 Whether it is the Baloch, the Liquidators, the scientists, the people of Pripiyat who lived in deadly doses of radiation for days before being evacuated, the people of Fukushima who claim they aren’t provided enough information to protect themselves, the workers in Fukushima who didn’t have personal dossimeters for the initial months of the crisis… the common thread running through is that they are left largely to their own devices. The resulting guesses born of need for information and lack of it are dismissed for being ignorant. We may not have cures for Radiation exposure, but we do have cures for malnutrition, lack of safety gear, prompt information, for heart problems, for adequate testing and prompt prevention, and many problems plaguing these people. Research into centenarians has been conducted to study longevity. Is it possible to study longevity among people exposed to radiation? There is an astonishing pool of neglected people who could serve to create answers. A person had commented on some site, that these people seem to live in defiance if what we know as science, but it is possible that while they get a lot of radiation, the otherwise clean air and lack of other pollutants allows their bodies to compensate and remain healthy. While this may not be true, an interview of one such person describes the alternative accommodation provided by the Ukranian government as damp and emotionally unsatisfying, sharing a home with strangers. This accommodation was still difficult to get… Possibly a contaminated person wouldn’t thrive like that, but might in an area of less radiation, but otherwise healthy life? We don’t know. But we ought to find out. Research guides wise choices. Otherwise it is only paranoia – however scientific sounding. Health is not a singular, linear thing. Also, if we are surrounded by loads of ambient radiation, and we have exposures we deem safe, is it a matter of degree rather than absolutes? And if so, is there a way to research how we can enhance our tolerance so that we are less susceptible to increases in radiation? Is there a way for more people exposed to radiation live functionally fit like the Samosely? I think that these people have something that could be studied for the benefit of mankind. They ought to be supported better for this information they could provide us and possibly create better lives for others who have been exposed to large amounts of radiation, which currently includes populations of at least two cities and hundreds of villages already. It is not a small number. As long as nuclear power continues to be used, we can’t count on these numbers reducing. We can’t even count on knowledge prevailing over political priorities or economic cutting of corners or plain indifference to potential consequences. Now there are farmers in Fukushima who are unwilling to leave. As long as we continue to use nuclear power for electricity, as long as we fight wars, the possibility of exposure of people to radiation can never be ruled out, and it is too late to begin research after a disaster. Recently, a researcher said that the radiation exposure after Fukushima could have been drastically less if people had used masks in the days immediately after the accident. Simple pollen masks eliminated almost all the inhaled cesium and two thirds of ingested iodine. The only thing is that it was published nine months after the accident. Is there a way to create a cohesive system of guidance aiming at maximum functionality and effective practices that will lead to it? I am talking of a world standard that governments can simply duplicate across their countries for effective responses and better management of survivors. IAEA, are you listening? Disclaimer: I am not recommending keeping people exposed to radiation, but using people living with radiation already to learn how they live long anyway. Disclaimer2: I am aware that popular view holds anything less than outright condemnation and paranoia of radiation as inadequate. That doesn’t bother me, obviously. Very smart questions. Thanks for your post.